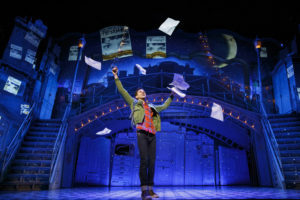 Amelie, A New Musical is currently at the Ahmanson Theatre after premiering at Berkeley Repertory Theatre in 2015 and before opening on Broadway in early April, 2017. Why the extra three words in the title? 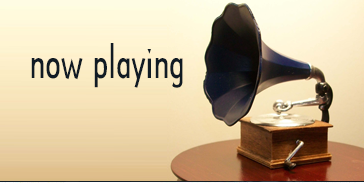 Was there a former musical titled Amelie? Is there an old Amelie out there somewhere? Or is it to distinguish this live stage incarnation from the quirky 2001 film Amelie (original French title Le fabuleux destin d’Amelie Poulain)? 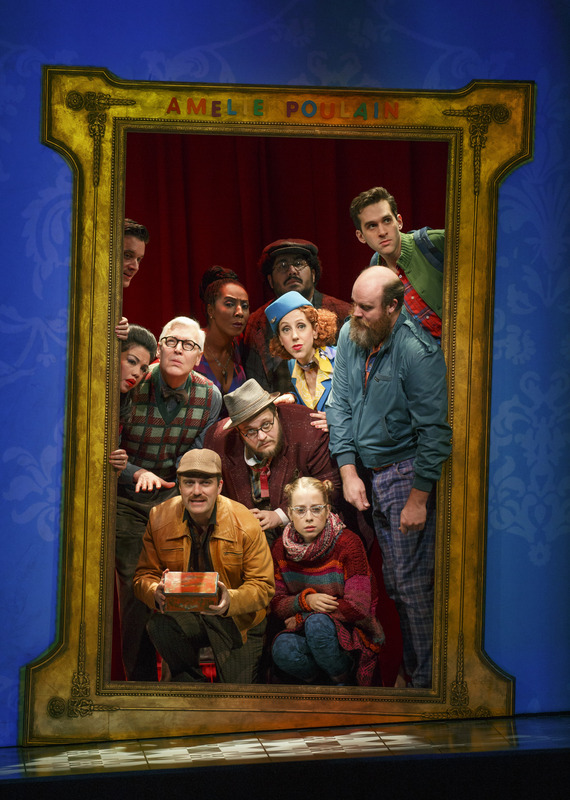 In the program notes, the creators (book by Craig Lucas, music by Daniel Messe and lyrics by Nathan Tysen and Messe) all profess their fascination with and love for the film written by Jean-Pierre Jeunet and Guillaume Laurant. But all their love and dedication has failed to capture the intrinsic whimsical charm of the film (which made an international star of Audrey Tautou). A little bit of whimsy goes just so far on stage unless it is played full out. The creators haven’t committed fully, staying somewhat in a neutral, realistic space that this piece doesn’t quite work in. The goldfish, the Notre Dame tourist, the photo booth, The Glass Man and more plot items that were charming and funny in the film mostly don’t work here. Often characters have to stop to explain what just happened when in the film it was obvious. Maybe it needs more of a French accent; I never felt I was in the magical city of Paris. 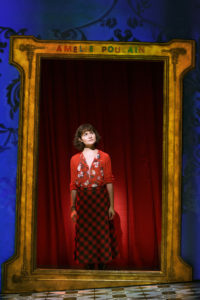 Amelie, A New Musical is sure to disappoint fans of the film and just confuse and alienate newcomers. I don’t see much of a future on Broadway for this show; off-Broadway perhaps. The much better musical Big Fish (more involved story, more outrageous characters and a whole lot of whimsy) only ran for 98 performances in 2013 but received wonderful local productions in Long Beach and Vista the past two years. The plot is very slight. Amelie (Savvy Crawford) is the child of distant parents and is starved for affection. As a result, she is afraid to make relationships of any kind. The grown Amelie (Phillipa Soo) moves to Paris and after five years finally begins to get involved in the lives of her co-workers and neighbors when she discovers a hidden box of boyhood treasures in her apartment. She hunts down the now grown boy and when he delights in recovering his treasures, Amelie decides to perform more good deeds. 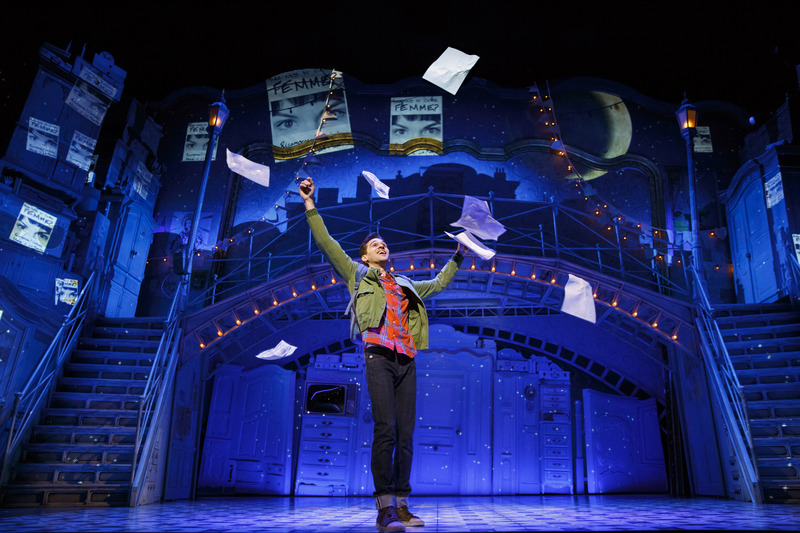 In doing so, she attracts the attention of a young man (Adam Chanler-Berat) who collects the torn, discarded photos people leave at a photo booth in a Metro station. The film ran just over two hours while the musical is only an hour and forty-five minutes with no intermission. Plus there is all that singing taking up time so the supporting cast doesn’t get much time to flesh out their characters. Soo is charming and carries the show and the cast manages to make the most of their time in the spotlight. Chanler-Berat’s voice is a bit grating at times, akin to fingernails on a blackboard. The program lists no song titles and a friend said “it’s just one long song with some dialogue thrown in.” The score does sound pretty much the same from beginning to end with no real standout. David Zinn did the cartoonish scenic design and also designed the colorful costumes. Pam MacKinnon’s direction is solid. Ahmanson Theatre, 135 N. Grand Ave. in Los Angeles. Ends Jan. 15. 213-972-4400 or www.centertheatregroup.org.